Use it for layering or wear it on your own, the Spyder Bandit 1/2-Zip Stryke Jacket is a versatile addition to your winter gear. 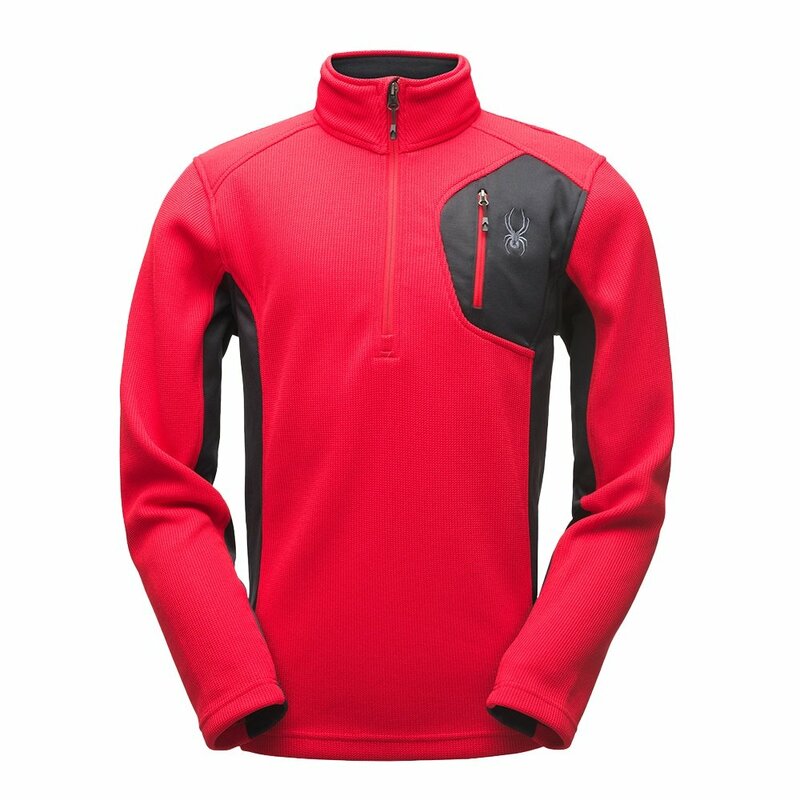 Made from a lightweight polyester fleece blend, you’ll enjoy comfortable and breathable warmth – and even if things do get warm, the half-zip allows for easy temperature control. Layering also won’t be a problem since this jacket features stretch fleece panels under the arm and at the sides that help to improve your mobility. And because you always want some practical features, the Spyder Bandit 1/2-Zip Stryke Jacket also has a zippered chest and hand pockets perfect for storing your essentials.